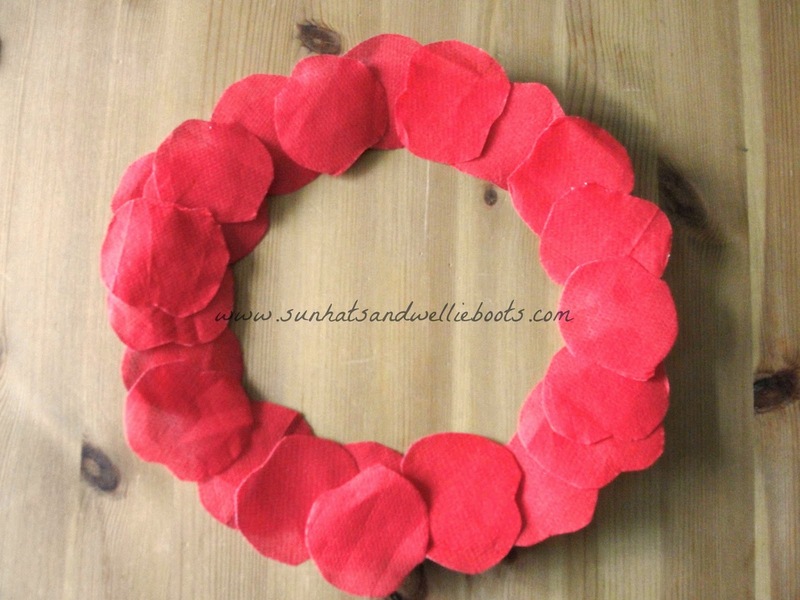 This simple Poppy Wreath can be made by a variety of ages & used to explore the significance of Remembrance Sunday or Armistice Day. 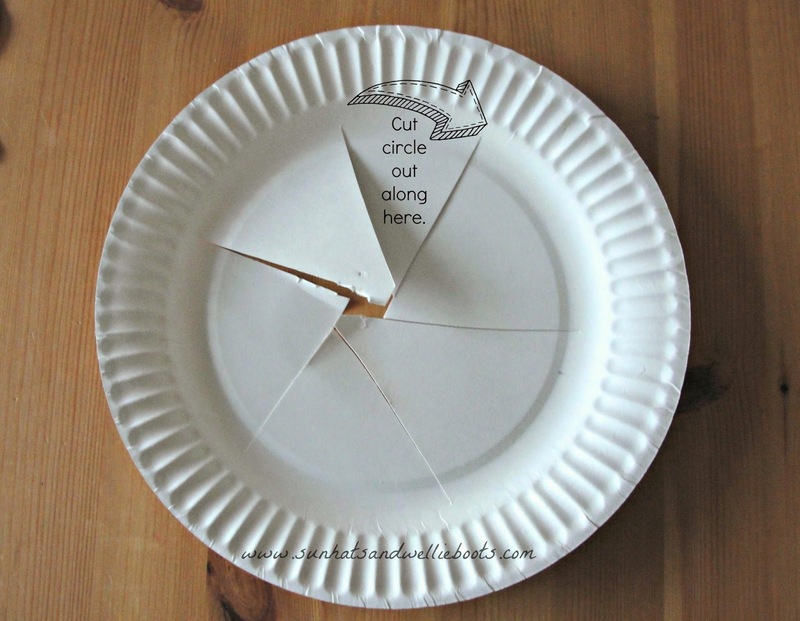 To create the basic wreath shape we cut a circle from a paper plate, (smaller hands may need a little help with this) we found it easier to cut the centre into sections first. 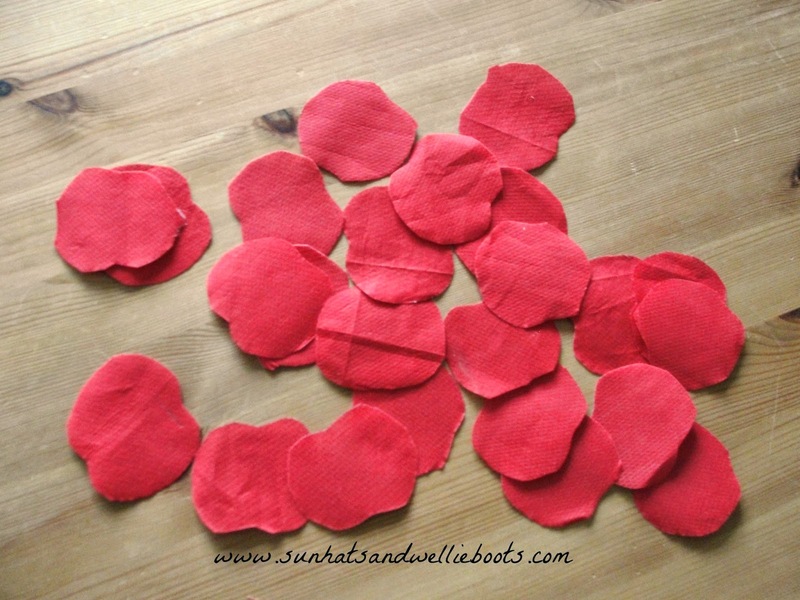 We used red paper napkins to make our poppy flowers & folded them over a couple of times so when we cut our poppy shape we had four or more identical poppies each time. If you have no napkins, coloured tissue paper would work just as well. 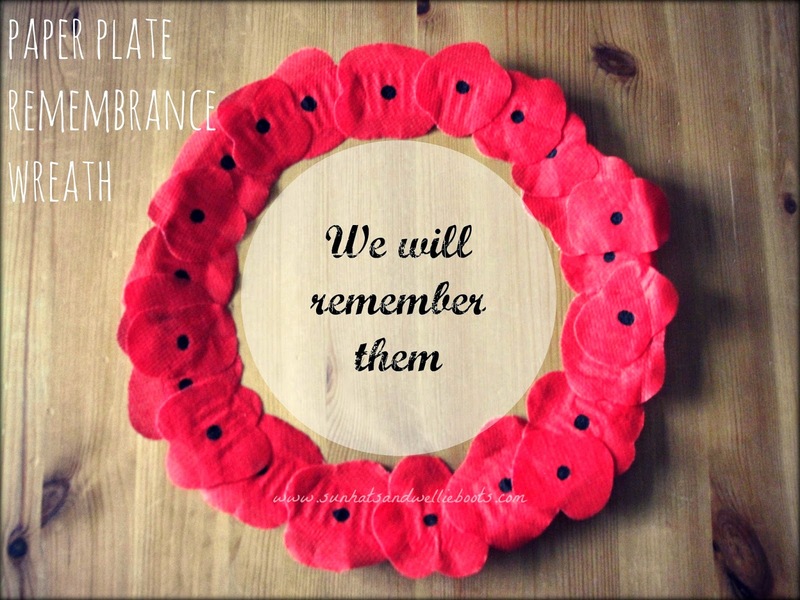 Once we had enough flowers we covered the plate with glue & attached our poppies. We found a glue stick worked best for this craft as the gloopy (PVA) made the flowers curl. To complete our poppies we drew small black circles to the centre of each flower, & then secured a length of thread with tape to the back of the wreath so it was ready to hang up. This simple wreath takes very little time to create & is an ideal way to introduce Remembrance Sunday & Armistice Day to young children, & the significance of the poppy. If you're looking for more information about the origins of the remembrance poppy then this film from The Royal British Legion is a great place to start. Creating these wreaths with older children offers them a chance to remember all those who have lost their lives in conflicts (past & present) & opens up an opportunity to talk about thanksgiving, respect, justice, peace, & reconciliation. Last year we made Remembrance Lanterns & we'll be using these again this year as we light a candle to remember. If you're looking for more Remembrance crafts you may also like our poppy prints with poppy seeds.